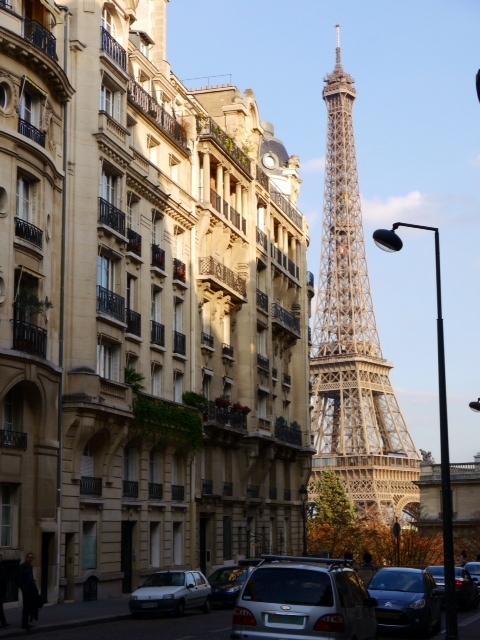 In the last year or so, when in Paris I’ve explored parts I’d never really spent much time in before. Whenever I do this I make sure I have some purpose to going otherwise I end up by wandering aimlessly. 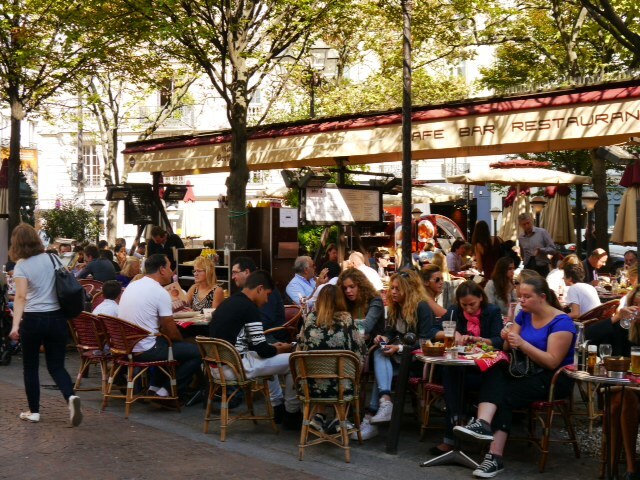 That purpose might be to visit a museum, gallery or park, to look for new retail trends, to go to particular food stores or bistros or it might be all of the above. Consequently some of the areas I’ve been are more often than not, a bit grungy and not in the heart of the city. Sometimes you might even wonder why I’ve been there. However last Friday I decided to go to Passy, definitely not grungy!! 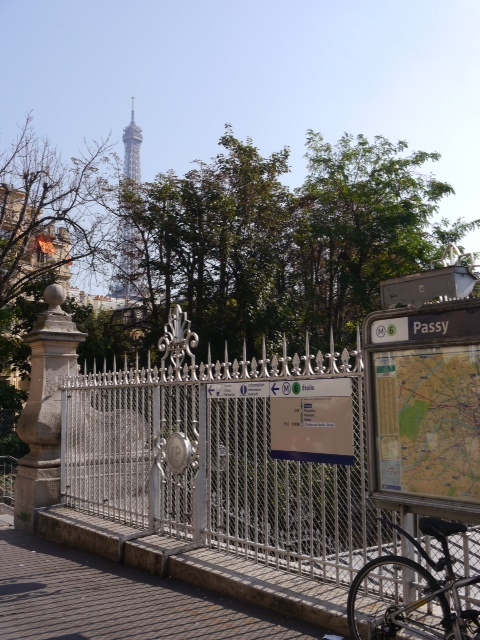 Passy is in the 16th arrondissement, the largest district in Paris. The closest comparison to the 16th in Auckland would be the Eastern Suburbs with Passy as a village within it. 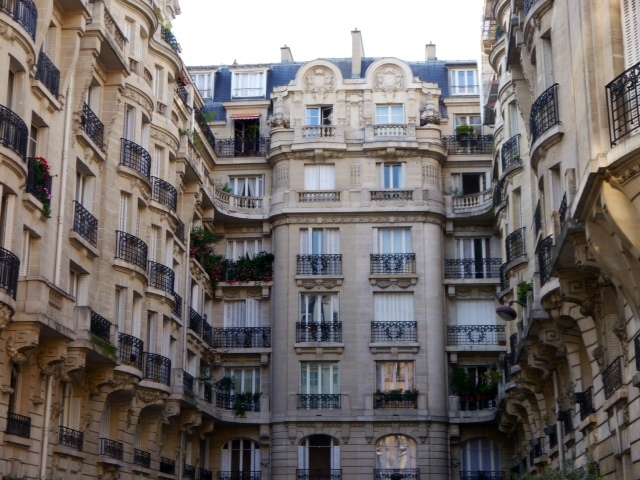 It’s known for it’s large Haussmannian buildings, wide avenues, narrow lanes, parks, museums with a really good shopping area at the heart. 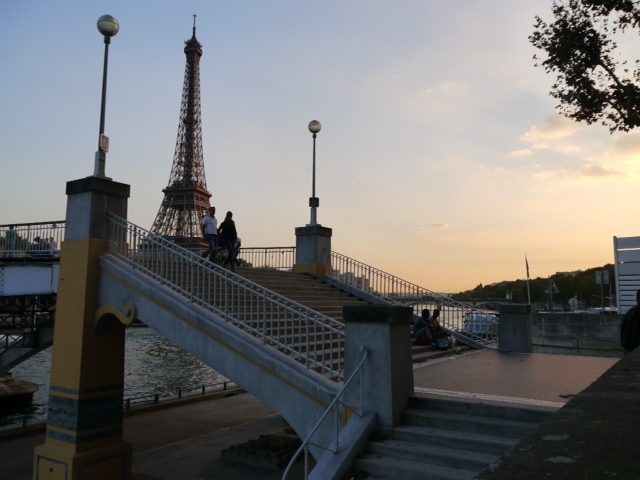 On top of all that, you get quite close up glimpses of the Tour Eiffel in lots of places as the area is quite elevated. 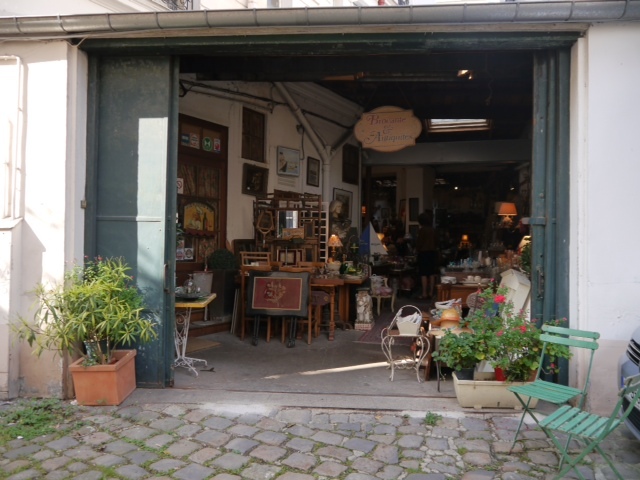 My purpose this time was to look in the shops, wander along Rue de l’Annonciation, have lunch at Le Bistrot du Chineur, maybe go to the Marmottan Museum and, on my way back to my hotel stop, at Palais de Tokyo. 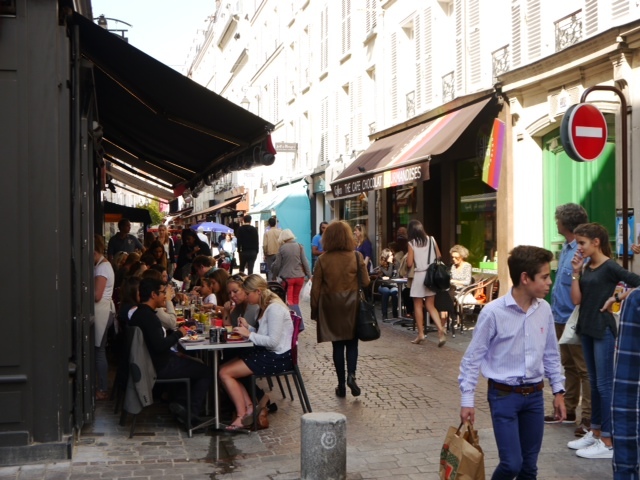 Firstly a quick word about the shopping – Passy is a really good. 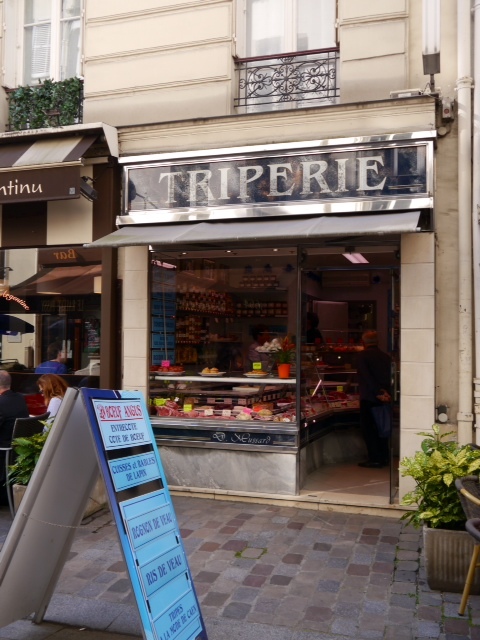 Don’t except to find the luxury brands but, for a good selection of fashion shops across a few different price levels, and if you don’t have a lot of time while in Paris but want to do some shopping, come here. There’s also a small department store, Franck et Fils, which is often worth a look. 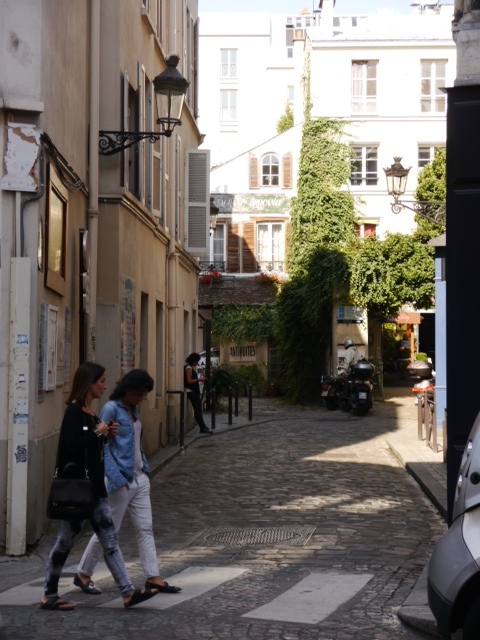 Rue de l’Annonciation is a small street almost running parallel to Rue de Passy, the main shopping street. 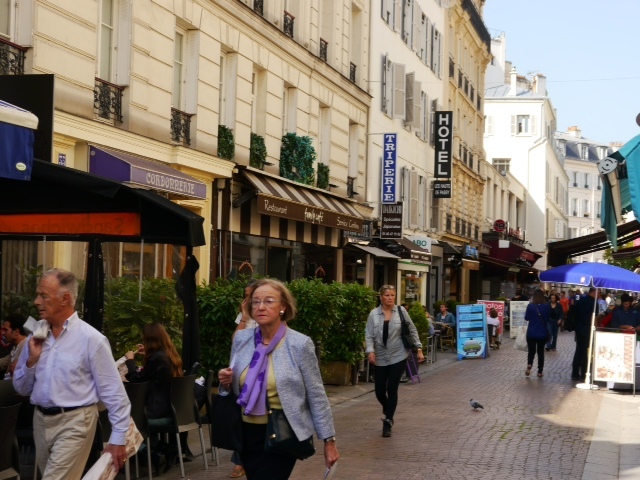 It’s a small pedestrian street full of food shops and small places to eat. Back in our rag trade days Mike and I often stayed at a small hotel there (you can just see the sign in the photo). 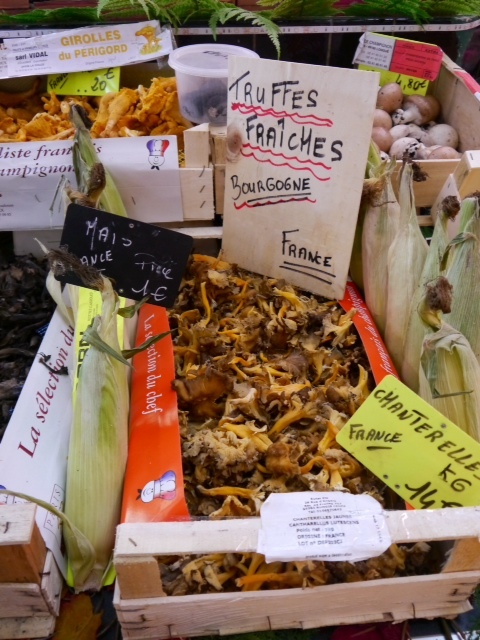 Of course there’s the aroma of rotisserie chickens cooking, lots of fantastic fresh produce which, because it’s Autumn, includes amazing selections of mushrooms and truffles. 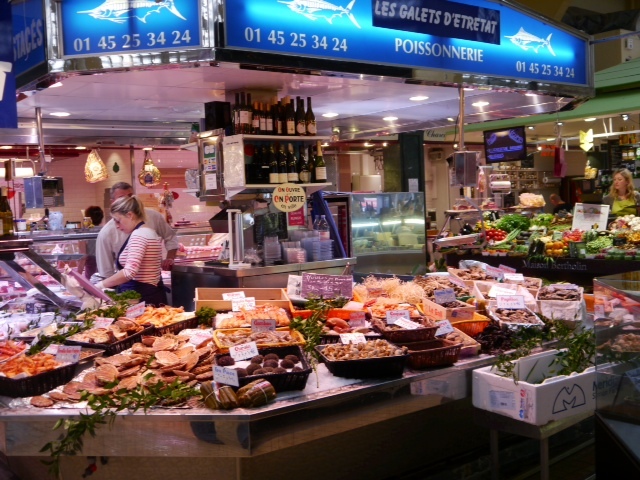 And, if you need more, there’s Marche de Passy a covered food market. 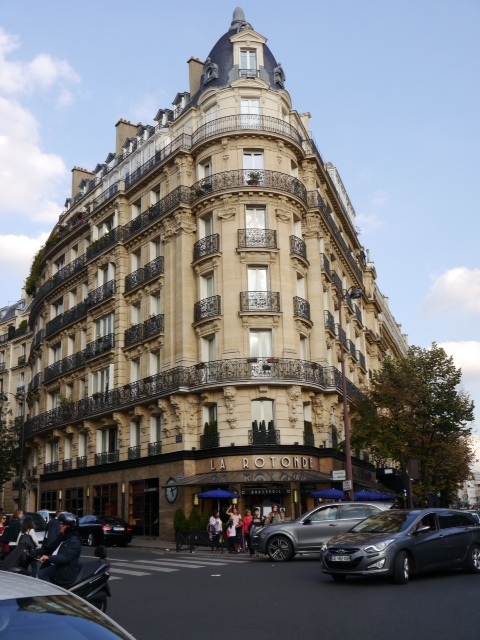 Aside from all that, actually the main reason that decided me on Passy was the desire to eat at La Bistrot du Chineur which I read about in Le Fooding. 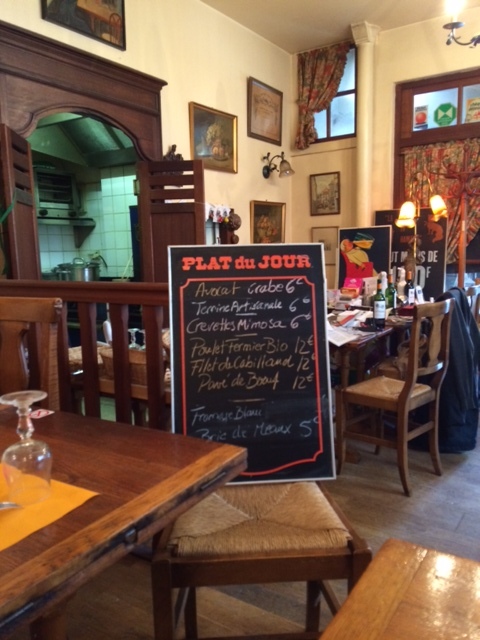 It’s a tiny bistro, set in a large shop full of brocante, owned by Gerard who is both the cook and the brocanteur. 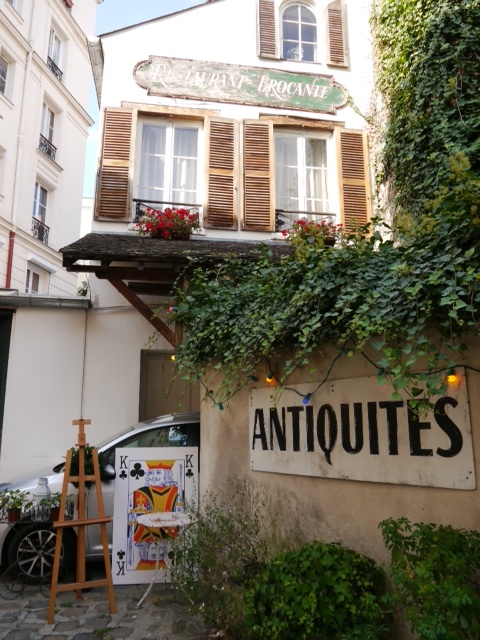 You can find it down a small lane off rue de Passy. Gerard explained that Passy had originally been farm land and this building that he and his wife live and work in, was home for the farm animals. He and his wife have been there for over 40 years. 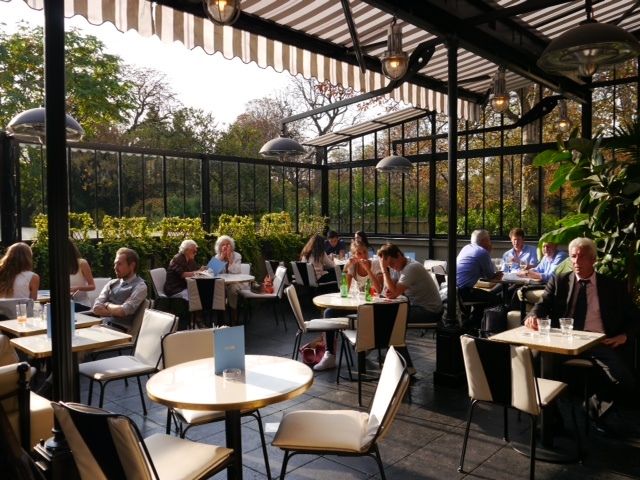 They open the bistro for lunch only from 12 noon till 2.30pm on Wednesdays, Thursdays and Fridays. Fortunately Le Fooding said that bookings are necessary so I had done that earlier in the morning ( ph 01 42 88 17 73). I arrived at 1.30pm to find only one couple there and about to leave. Gerard later explained that it was quiet that day but it normally is busy. Also he only makes eight portions of each of the three courses. 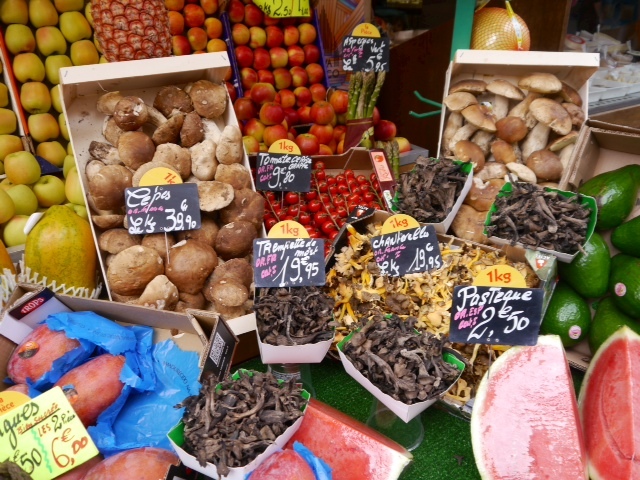 He sources all his ingredients from the Marche de Passy early each morning. The food is very simple, fresh home cooking coming from a very small kitchen. I started with his delicious artisanale duck terrine, followed that with cod served with baby potatoes and French beans and finished with fromage blanc which should have come with red berries but he’d run out. To drink, only one choice – a red Bordeaux at €2 glass. Too bad that it didn’t quite go with the delicate fish but was fine with the terrine. Total bill including coffee, €26. This was definitely about the experience – a bit like having lunch in someone’s very messy old fashioned dining room. In other words don’t go with expectations of anything else. 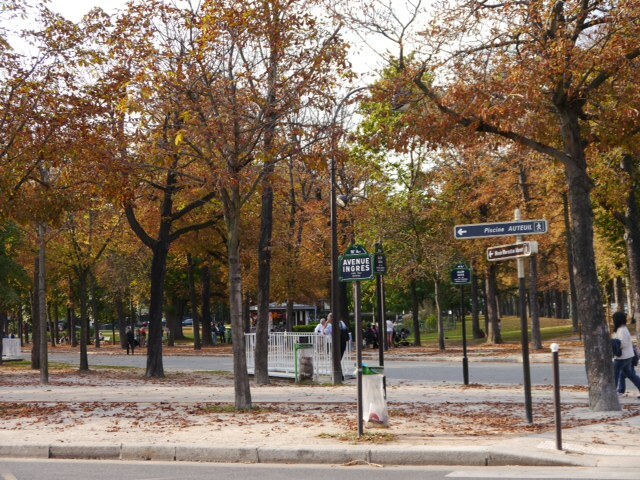 For most of the rest of the afternoon I wondered around some of the smaller streets of the neighbourhood and through one of the several parks. 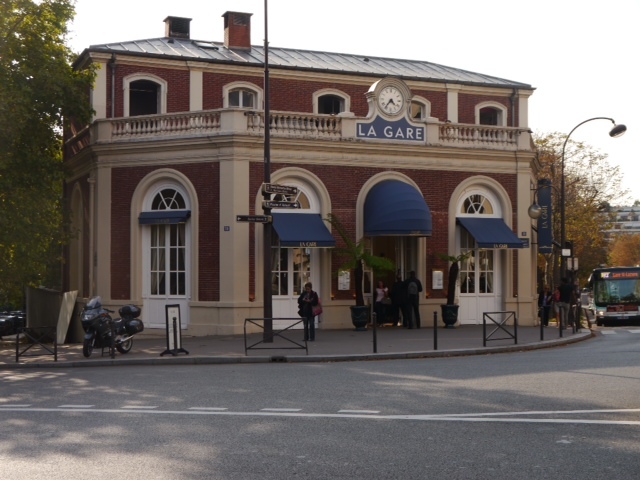 I considered going into the Marmottan Museum which houses many of Monet’s works but, as my feet were aching (it was a hot day at 26C), I decided to opt for sitting down for a cup of tea on the terrace at La Gare an old converted train station nearby – very pleasant. 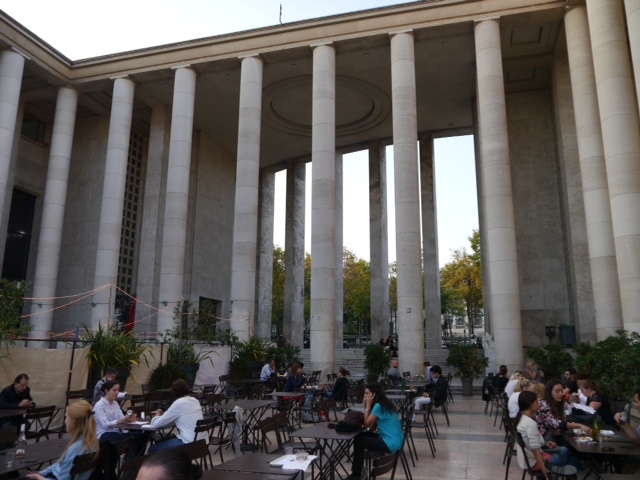 Next I headed out of Passy but still in the 16th, passed Trocadero and onto Palais de Tokyo which is part of the Musee d’Art Moderne. 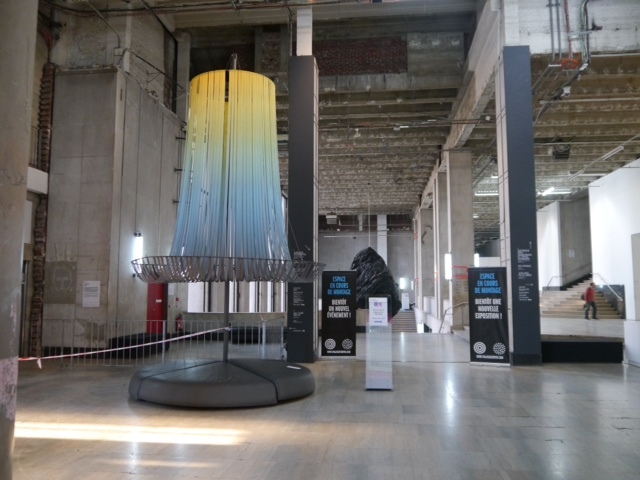 The art exhibited here is always very contemporary. The big open spaces work particularly well for large and small installations. 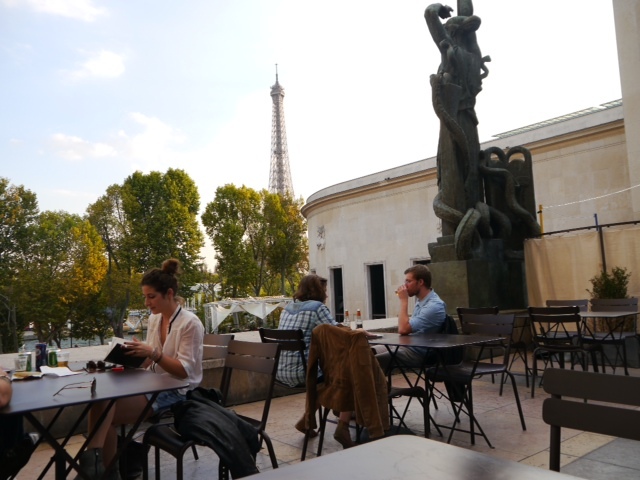 Unfortunately it was between exhibitions so, once again, I chose a drink on a terrace. 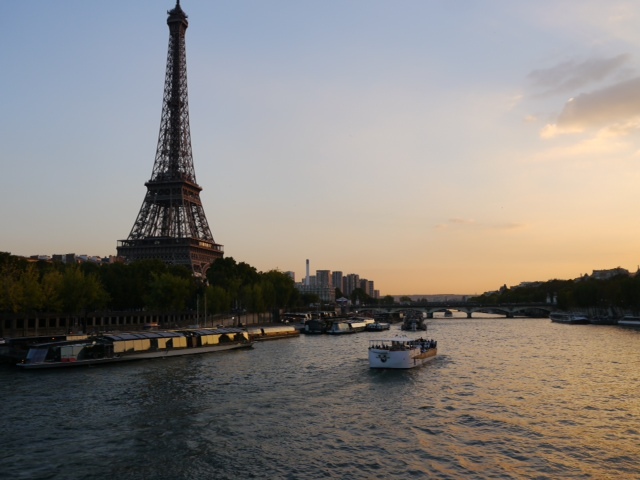 This time it was a glass of chilled Chablis with a view of the Tour Eiffel. Finally it was time to head back to my hotel.